Greetings from Blacksburg! I hope everyone is well and looking forward to coming to our beautiful school for swim camp this summer. We have been doing these camps for nearly 2 decades and we genuinely appreciate your support of us and we always enjoy our time with your young swimmers! Registration is now open for our 2018 swim camps! 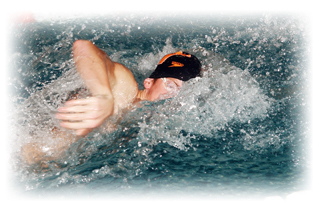 We are looking forward to working with your swimmer this upcoming summer for either or both camps! Back again for this summer! We will be using the beautiful Christiansburg Aquatic Center (CAC) for some of our sessions. This incredible facility is the home for the Virginia Tech Swimming and Diving teams and the site of the 2012 ACC Swimming and Diving Championships. We are excited to use this long course meters pool for some of our afternoon sessions during camps. Please see the camper information packet for more details. War Memorial Pool on the campus of Virginia Tech will continue to be home base for camp as well as serving as the location for our dormitories and dining halls. You should find the registration process very easy. Please contact me at maroonandorangeswimcamp@gmail.com or call (540) 392-5256 with any questions. We are already excited about having you come to our swim camps this summer. We had so much fun last year and we have great plans for these camps to be our best ever! Please check www.mandoswimcamp.com for more info. and registration. Register for another camp session or register another child (must be from the same family) and receive a $20 discount off each additional session/child.